A trusted partner for providing Japanese/English language solutions for over 20 years. Our mission is to deliver seamless Japanese and English communications while consistently accomplishing and exceeding our clients’ expectations. We strive for unmatched excellence in professional service for every client and a commitment to personal attention. We help people communicate! 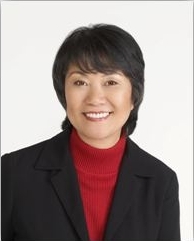 Masako Winkler began her career in interpreting with a New York Agency. In 1991, Masako and her husband Carl Winkler founded JapanAmerica, Inc. in Marietta, Georgia (Metro Atlanta) USA. A highly reputed Japanese/English interpreter with worldwide experience and a network of highly regarded professionals to support her, Masako Winkler of JapanAmerica, Inc. has been a trusted partner for providing Japanese/English language solutions for over 20 years. Fluent, easy to understand – concept oriented renditions that are easy to understand. In cases where unexpected or unanticipated needs arise, you can count on JapanAmerica’s proactive assistance for uninterrupted service.